What's life at Cambridge really like? We know it isn’t easy choosing which university to go to and applying to Cambridge can feel like a big decision to make! As we’ve experienced this ourselves, we’d like to try answer any questions you might have and help you make informed decisions. From web pages on Colleges (where we live) to courses, social life to academic support, the CUSU Alternative Prospectus is the student insight to Cambridge: we’re not trying to ‘sell’ it to you – rather tell you our experience so you can decide for yourself. Unfortunately, Cambridge is surrounded by many myths and stereotypes that prevent people from thinking that it’s worth applying. 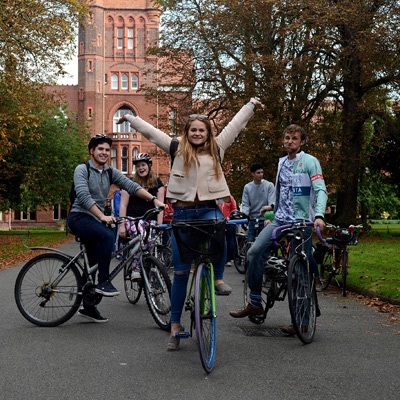 Hopefully, the student profiles and experiences on this website prove that Cambridge is actually made up of people from all sorts of backgrounds – this university is for everyone, no matter where you've come from, what your parents do for a living, or the type of school you went to. We promise it’s not all work, work, work, either – that myth is very wrong too! Check out the Courses section for profiles on each undergraduate course, advice on choosing your course and info on academic life. The Colleges section tells you about where students live, with info on what a College actually is and profiles of each one. The town and university as a place to live is described in the Cambridge section. The Student Life and Applying sections are coming soon! You can ask questions to current students through each Course and College page and via our Ask a Student page, where you can find the answers to other questions that have been asked too. How much time is spent studying? What's Cambridge like to live in? Welcome to the Cambridge University Alternative Prospectus. My name is Shadab and I’m the CUSU Access and Funding Officer for 2018/19. CUSU is the university-wide representative body for students at Cambridge and is led by 6 amazing full-time officers who were elected by students. We also have a great team of support staff who work with us. 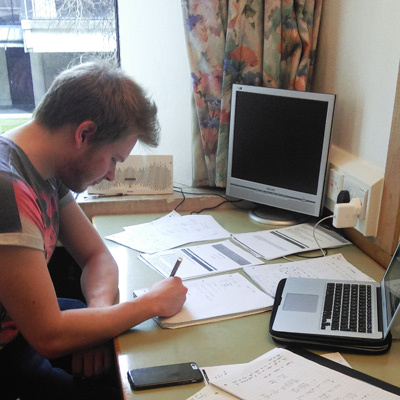 I’m currently on a year out from studying Natural Sciences (Chemistry) at Christ's College. Who knows if I'll go back to it after... I've always enjoyed a challenge, and so I decided to apply to Cambridge after I received my results in Year 12, it was the best decision I had made. Cambridge is an absolutely incredible place to study – it’s home to a unique teaching system, hundreds of societies and people from all around the world. Within weeks I was rowing, singing and taking French lessons! There's just so much to do and lots to get involved in. 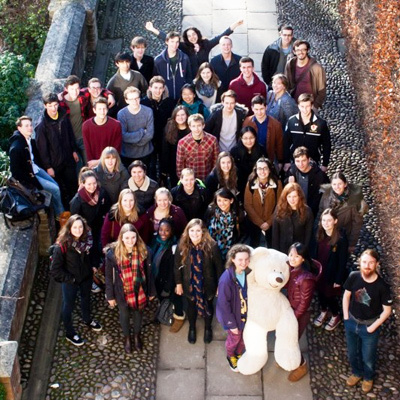 Regardless of background, everyone should have the opportunity to find out more about what it’s like to be at Cambridge and feel equipped and ready once they have decided they would like to apply. The purpose of the Alternative Prospectus is to provide you with answers to questions that you might have about studying and living here. The Alternative Prospectus is written by students, for students. After all, we know better than anyone else what it’s like to be here. #CambTweet is CUSU’s Twitter-based project that helps you find out about student life at Cambridge. There’s one student volunteer per (nearly every) subject, and they’re tweeting daily about everything from what they’re studying to hanging out with friends. Search #CambTweet or @cambtweetcusu on Twitter to find them.